In what could be described as a sweet victory from a hard earned bout, Anthony Oluwafemi Olaseni Joshua on Sunday emerged the clear winner to add the WBO heavyweight belt to his WBA, IBO and IBF titles. 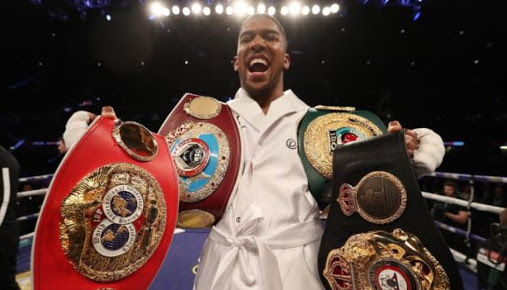 Joshua who was born in Watford, Hertfordshire, to Nigerian parents, Yeta, and Robert Joshua added the WBO belt to the WBA and IBF belts he already holds, but he took the distance for the first time in his professional career. 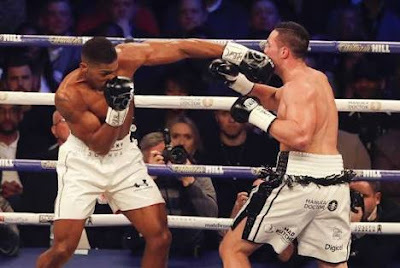 Joshua, almost a stone lighter than when he beat Carlos Takam in Cardiff last October, did enough without setting the fight alight, while Parker had his moments, even if an upset victory never looked on.heer size and power of Joshua was keeping him mostly on the retreat and he was wobbled a little again. The WBO title holder was keeping himself in the rounds but having difficulty doing enough to win them. He did; however, appear to edge the fifth when he broke past the AJ jab to land a couple of good rights. Parker was doing his best to drag Joshua into a brawl. AJ was tempted but held his temper and picked off the opponent with a sizeable left at close quarters. This time Parker staggered but again he took a punch which might have finished many another heavyweight. There was no sign of Joshua running out of steam.